The actress category might be the more locked of the two, but that’s not saying much. 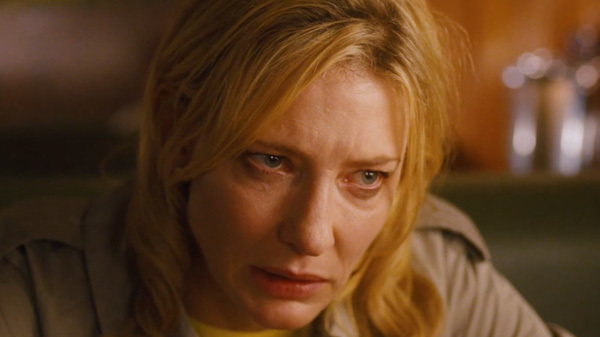 Cate Blanchett is the clear front runner for her absolutely brilliant performance in Blue Jasmine. Woody Allen once writes and directs a female role that is for the ages. Her neurotic and eccentric characteristics are so well portrayed you thought you were watching a real person not an actress. She all but has this locked up. With Blanchett being, so good, as much as it pains me to say, don’t overlook the perennial contender, Meryl Streep. He performance in August: Osage County is one any actress would love to be the feather in their cap. 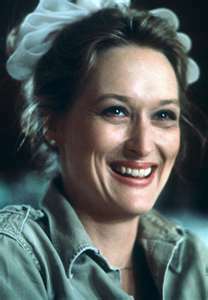 For Ms. Streep it’s another day at the office. She makes the film. Without her the movie falls flat and the chemistry (which was mentioned last article) with Julia Roberts is outstanding. The weakest, despite her Golden Globe win is Amy Adams. Her performance is not the issue in my book, it’s her accent. The inconsistency is too distracting. She delivers dialogue as good as anyone in the industry. That aside, I wasn’t sure for three quaters of the movie if she was suposed to be British or faking it. It just was a disappointing effort for my taste. Judi Dench is just wonderful. I am a fan of her as M in the Bond films and just about everything she does. She has an Academy Award for Shakespeare In Love and is nominated once again for Philomena. Her portrayal of the real life woman seeking to meet her son that was taken from her is so moving and delicate it will bring tears to your eyes. That leaves us with ANOTHER perenial conteder, Sandra Bullock. She won a few years back for The Blind Side. The film Gravity doesn’t exist without her and her heartfelt and strong acting. She was flat out great. The trouble for Sandra, and pretty much all these lasdies, is the year in which they are nominated and the fact that only one can win. This year belongs to Cate Blanchett in my opinion and I’m rooting for her, Though I must say if Meryl wins, my heart won’t be broken. Let me preface this article by saying, I am in no way a big Meryl Streep fan. I find the fawning over everyone of her performances nauseating. That aside, her latest film may just be her crown jewel, and thats a mighty heavily jeweled crown. Though it should be and will be noted later on, her performance is not the only outstanding one in the film. 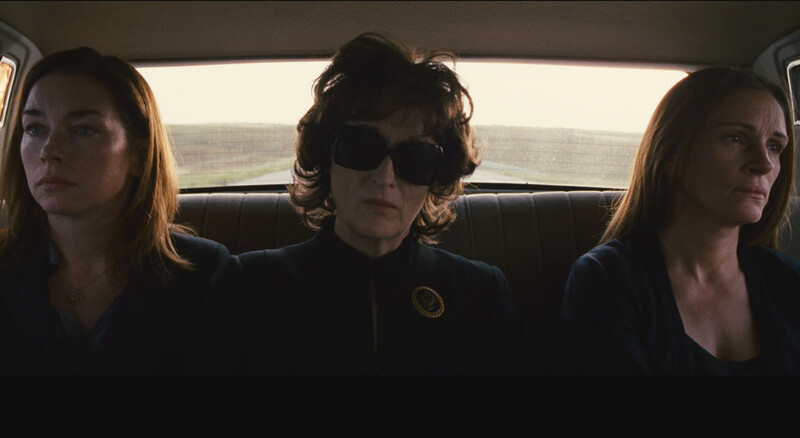 August:Osage County is the story of a highly dysfunctional family that gets together when their patriarch, Beverly (Sam Shepard) who is the father and mental and emotional center to the whole family, goes missing. Violet (Streep) has to endure her three daughters reluctance to come be with her during this trying time despite her mean disposition and down right awful attitude and alcohol and drug abuse. Her oldest, Barbara (Julia Roberts) is the oldest and has the most issues with her family and just as much going on in her collapsing life. The youngest, Karen (Juliette Lewis) is beyond oblivious to her life and what constitutes happiness. She maintains the most fake happy personality of them all. The middle child, Ivy (Julianne Nicholson) is the one who feels the need to keep peace and keep her mother as happy as possible, which proves to be an impossibility. When Beverly’s disappearance proves to be a death the family is then forced to grieve together and discover they are now on their own to make big and small decisions in their lives and decide what needs to stay and what needs to go. Roberts without question gives her best performance since her Oscar winning role of Erin Brockovich. According to her own telling, she wore zero make-up for the film, which lends to the hardship of the character and the life that has been lead. Her performance is flawless and in no character in film this year was I more drawn to. That brings us to Meryl Streep. The transformation into the pill popping, cancer living and evil mother of Violet is one of the most incredible changes and roles that make you look at an actor or actress differently. I consider this to be her best film in over 30 years, which would include film like, Silkwood, Kramer vs.Kramer, The Deer Hunter, Sophie’s Choice and Out Of Africa. She has only serious competition from Cate Blanchett in Woody Allen’s Blue Jasmine. The film is no feel good, memory lane type story. It’s upsetting and shows the realities of families that may have been better off not being family members. The truth is what lies underneath and how the awfulness of what exists makes us into the people we are yet we are never to old to make a change. It is a film that pulls you into each family members life and doesn’t let go. For fans of film making and acting this is the film of the year. Robert De Niro has made many, many iconic films in his time that will live on for generations. The films span time periods, decades and cultures. The list is long and distinguished and for good reason, he made brilliant films with brilliant performances and chose brilliant scripts. Any film maker could make a masterpiece with De Niro in his prime. One film maker took full advantage of his opportunity to do so. Michael Cimino’s second film was the period at the end of a long sentence that was the Vietnam War. 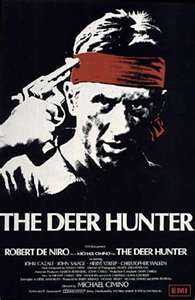 The Deer Hunter may have been the most, sadly forgotten film by many, as it’s rarely shown on television and certainly not on pay cable channels. It was the darkest side of the war that everyone knew was terrible, dark, sad and cruel. The story is that of several Pennsylvania steel worker friends and what happens when three of the them are proudly shipped off to Vietnam and leave their small blue collar town behind. After being captured POW’s and facing the horror of what a POW goes through they struggle to return home and find any sense of normalcy. 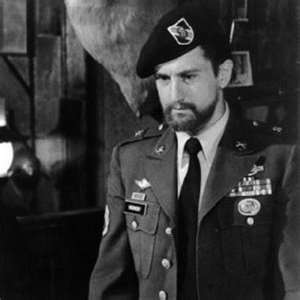 The Deer Hunter took much criticism at the time of it’s release and since for it’s most controversial scenes during the POW capture. The prisoner’s are forced to play Russian Roulette for sport for the Vietcong to gamble over. The film then shows the effects their capture and the roulette has on the three surviving veterans. The controversy is over whether or not these things really happened or if this was a figment of the imagination of the screen writer. The true fact is that it doesn’t matter. The scenes were shown for one reason only, and that’s because the show so harrowingly how horrific this war and ALL wars are. These powerful scenes that are even hard to watch no matter how many times you see them are like that so they make the deepest impact on the viewer and reach him in an effort to show the ferocity of war. When Robert De Niro was awarded the AFI lifetime achievement award in 2003 with a special ceremony, they touched on most of his films and showed clips of interviews where he discussed his films. During no other discussion was he nearly as emotional as he was when he talked about The Deer Hunter and the affect it had on him. He was nominated for every award across the board but won very few, sadly. Christopher Walken emerged an acting star for his role as Nick. Nick becomes disconnected with reality and stays in Saigon and begins playing roulette for money and the thrill, not realizing his actions and what he has left behind at home. It’s only when Michael (De Niro) returns to Saigon to attempt to bring his friend home does he briefly see his friend through his jaded and fogged view of life. 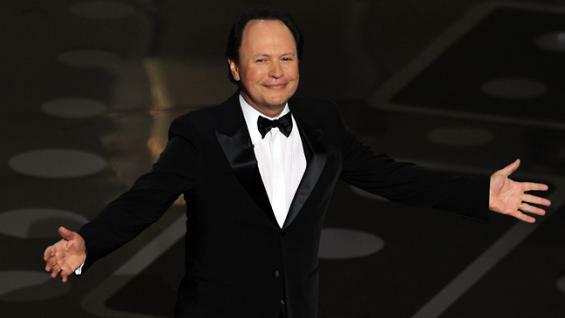 Michael Cimino never achieved again anything close to The Deer Hunter in his career, nor does he ever have to. His film left an indelible mark on the minds of those who saw and those who continue to discover it. While the film will be remembered for it’s terrifying roulette scenes and for Walken’s stunning performance. It will also be known for bringing Meryl Streep to the forefront of the movie world and being the last work of John Cazale who was in some of the most pivotal movies of the decade. It was the sad and last word on a horrific time in American history. The film is not a perfect film, but all of it’s aspects together from the story and the emotions it draws on to the acting to it’s most beautifully haunting musical score, it’s a movie that couldn’t be made any better. Many artists make many many pieces and rarely are they masterpieces let alone one of them. Film makers are artists and many of them don’t make masterpieces, Michael Cimino didn’t make too many films but he has the distinct privilege of having made a true masterpiece, no matter how dark and depressing or sad it may be considered. It was truly a piece that had to be crafted and made and it was done with a perfect stroke by it’s artists hand. 2009 Was A Milliondollar Year! 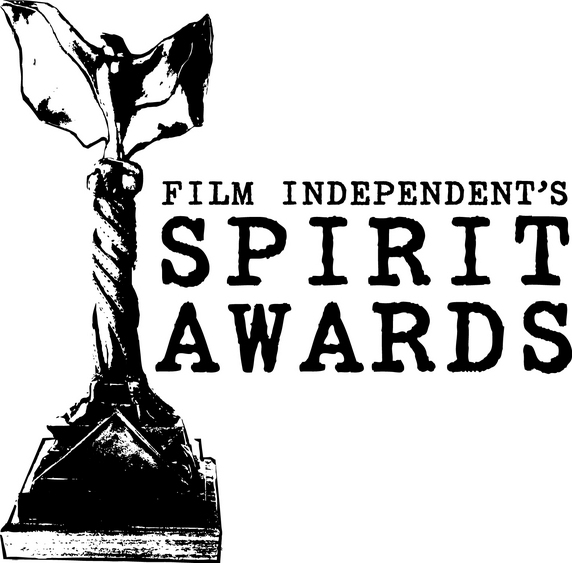 2008 (awards handed out in 2009) is one of my favorite years in recent memory for motion picture, but that’s just a personal opinion. It saw the loss of a great great talent prematurely and another walked away at his peak because of what he felt was the corruption of Hollywood. It had high spots too, including the ressurection of a one time monster of the cinema. With great movies a even better stories being told there was something for everyone that year. Taking home the coveted best picture was Danny Boyle’s Slumdog Millionaire, the heart warming story of a young man’s early life struggles and his desire to have a better life and find the girl he has always loved since he was a young boy. Set in the poverty stricken city of Mumbai, young Jamal is forced to remeber the highs and low’s of his unfortunate childhood while on the Indian version of the game show, Who Want’s To Be A Millionaire. With an ending that manages to be both triumphant and tragic at the same time it moved audiences of all kinds. Truly one of the high points of Danny Boyle’s career who had previously been somewhat of an indie icon. Was it the best picture? Well it had some fierce competition. As it’s fellow nominees, Slumdog had to compete with the likes of another banner year for Sean Penn with his bio pic Milk and Kate Winslet who finally got her due recognition with a best actress statue for the powerful Holocaust drama, The Reader. Not to mention David Fincher re-teaming with Brad Pitt in an adaptation of the F. Scott Fitzgerald short story, The Curious Case Of Benjamin Button. Finally Ron Howard returned with thunder with the highly dramatic Frost/Nixon. But what was left of the list may have been just as good or better! We almost saw a superhero movie make the list of nominees with the most successful film of the year, Christopher Nolan’s follow up to his re-boot of the Batman franchise, The Dark Knight. No doubt Dark Knight was successful because everyone wanted to catch one last glimpse of the great Heath Ledger who passed away suddenly, shortly after filming. His depiction of The Joker will without question go down as one of the best and most terrifying villain roles and best all around acting performances in the history of cinema. Ledger would win the best supporting actor award posthumously to rousing applause from the audience. While everyone honored and mourned Ledger that year they without question welcomed back one of the all time bad boys and former great talent and heart throb, Mickey Rourke showed everyone, he still has the talent. He would sadly lose to Sean Penn but The Wrestler is no doubt the feather in the cap of Rourke and will be a film and performance that will transcend time and generation for years to come.It was the moving and raw film from director Darren Arinofsky who made this gem on a show string budget and pulled out acting from it’s three principles not to soon be forgotten. With all due respect to Penn this was and should have been the crescendo to Rourke’s return. Also left off the list was the incredibley real and well acted, Revolutionary Road. The story of a 1950’s couple struggling to live the life they believe they are expected to and the difficult decisions they are forced to make. This movie was billed as the reunion of DiCaprio and Winslet for the first time since Titanic but it was anything but. The arguing scenes felt so real they could make you almost feel uncomfortable for watching. That brings us to the religious, controversial Doubt. Based on the play by John Patrick Shanley who rose to fame with his script Moonstruck in 1987. re-written and directed by Shanley powerhouses Meryl Streep, Amy Adams, Phillip Seymour Hoffman and Viola Davis who made everyone turn and take notice for the first time. It was a movie that left you questioning how we judge other’s based on the sins of other’s. 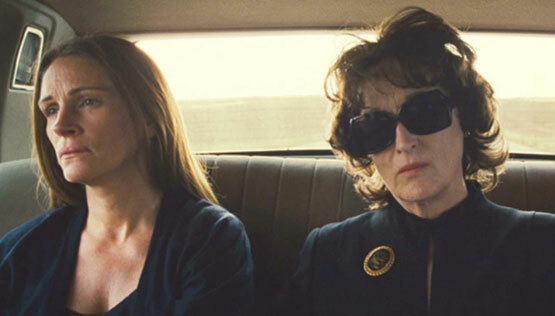 Hoffman and Streep showdown in memorable fashion that could even leave one jaw open. So what was the best picture? Slumdog was a fine movie and no doubt worthy of it’s nomination but it may be a cas of outstanding campaigning on behalf of the studios. With a low budget, no studio faith and almost no one backing it, The Wrestler had nobody but fans and critics to fight for what was one of the most surprising and moving movies of the year. It may have also been the sort of people who judged the movie before seeing that gave it no hope. This was no wrestling movie it was a story of the human spirit and no matter how much it wants to, it doesn’t always triumph. I have no problem saying I believe The Wrestler was the best picture of the year but anyone could make a case for any of the fine, near perfect films which is why I prefaced this commentary by mentioning what a great year it was for film.